For the final leg of our journey, we say good-bye to Jerusalem and head back to the airport at Tel Aviv. First, however, we stop in Jaffa, known also in the Bible as Joppa. She died, but the disciples knew that Peter was in a nearby town, so they sent for him. Peter came, prayed, and God restored her to life. This became known all over Joppa, and many people believed in the Lord. Peter stayed in Joppa for some time with a tanner named Simon (verses 42,43) in order to use this opportunity for evangelization. The location of house where Peter had this vision is now marked by St. Peter’s Church. 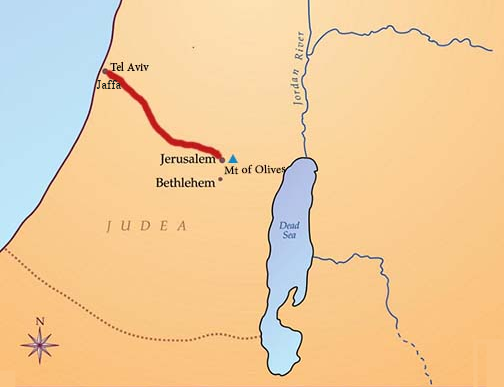 This is the place where official evangelization of the Gentiles began. 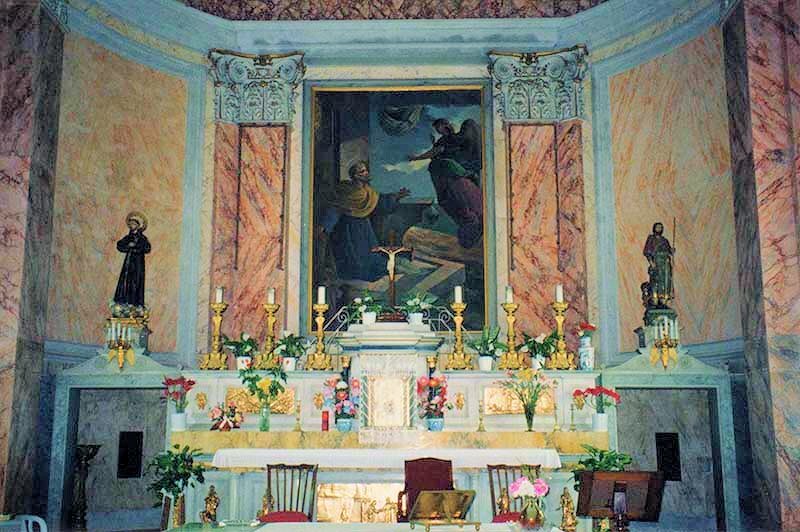 Click on the painting above the altar.